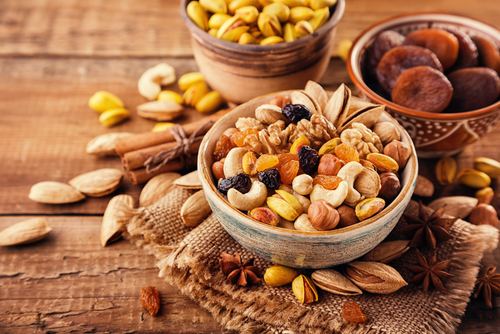 Ingredients and flavourings business Symrise is launching its latest “totally nuts”, a range of nutty flavours developed for the snacks and confectionery market. The series includes hazelnut, pistachio and peanut, as well as creating its own virtual reality format that provides customers with information while also addressing them on an emotional level. As the company explained, the series of flavours has undergone testing in cream fillings, cakes and cookies, as a complement to chocolates and baked goods. The range encompasses an extensive portfolio of taste solutions in the most important nut variations, from fresh to roasted. The business manufactures the products in an environmentally responsible way, meaning they conform with the company’s understanding of sustainability. The Holzminden employees also promise consistent quality for the nutty flavour at stable prices. Symrise understands each and every nut component, and it decoded the complete hazelnut taste profile back in 1985. With this knowledge about the “nut DNA”, the flavour professionals have developed the key nuances of hazelnut, pistachio and peanut. All of them follow a fixed standard, and each of the nut flavours remains stable for a long time. The range primarily addresses demand in the Africa & Middle East (AME) region and in Turkey. Connecting with the customer virtually is also a new idea. “We’d like to share our enthusiasm for good taste as well as bring it to life, which is why we’re eager to enter uncharted territory technologically speaking,” says Lisa Wulf, junior marketing manager, sweet flavour division EAME, of Symrise. “We shot a virtual reality film about the onion in 2017. With the nut, we’re going one step further and allowing the customer to participate actively.” With the Oculus Go headset, the viewer can experience nut flavours in virtual reality. This modern technology makes “totally nuts” exciting and emotional. Viewers can explore the nutty world of Symrise on their own and learn more about the nut flavour that interests them.